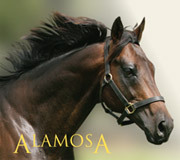 News stories on Wellfield stallions and winning progeny. Welcome to the home of Wellfield Lodge, an internationally recognised New Zealand thoroughbred operation located on 300 acres of prime Manawatu country on the outskirts of Palmerston North. 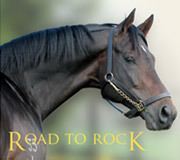 Wellfield Lodge offers the outstanding Gr 1 winning and producing stallions Alamosa and Road To Rock, standing alongside the young Gr 1 winner Vespa, whose first crop, born in 2017, made an instant impression. 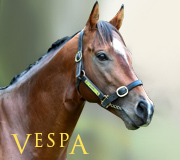 The progeny of both Alamosa and Road To Rock are proving to be great sources of success throughout New Zealand, Australia and Asia and we look forward to the first crop of Vespa following suit. The farm has earned a reputation for presenting top-class yearling drafts and also offers breaking-in, pre-training, as well as agistment services for both racehorses and broodmares. Wellfield Lodge is a purpose-designed and immaculately appointed property, where a safe and tranquil environment is conducive to thoroughbred growth, development and success, hence our mission statement Breed with Confidence. We invite all breeders to visit the farm to inspect our stallions and the stud's facilities. Please take the time to browse our site and visit our news section, which is regularly updated, and sign up for our informative monthly Wellfield newsletter, or view our Facebook page.